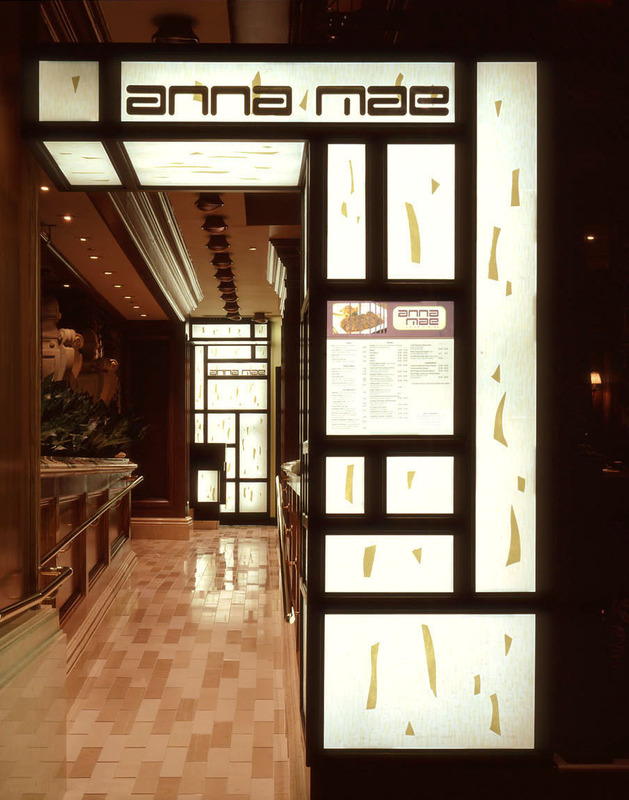 Anna Mae is a 5,500 square foot Japanese fusion restaurant at Beau Rivage Resort Hotel (part of MGM/Mirage) in Biloxi, Mississippi. 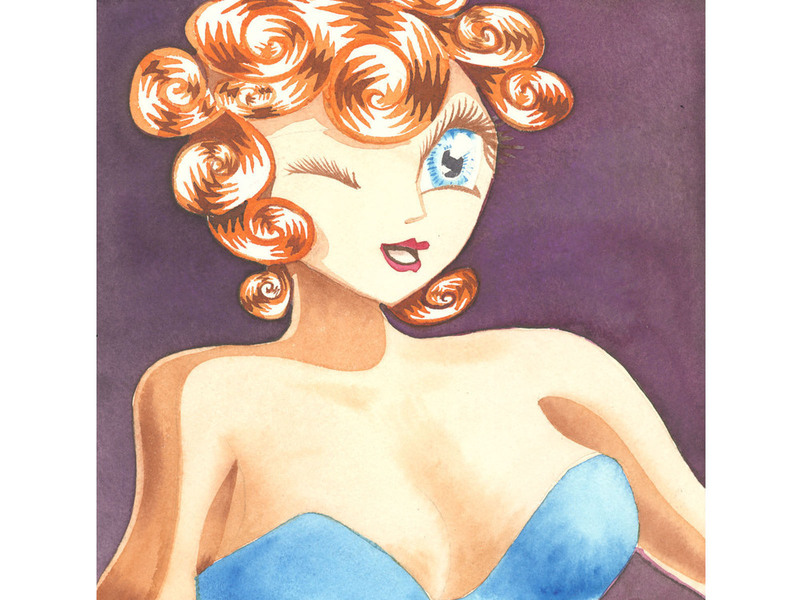 It's design plays on images from Japanese and American popular culture, blending imagery from Japanese Anime artwork featuring hyper stylized characters with enormous eyes and ‘Anna Mae’, a heartbreaker from a Mississippi Muddy Waters ballad. 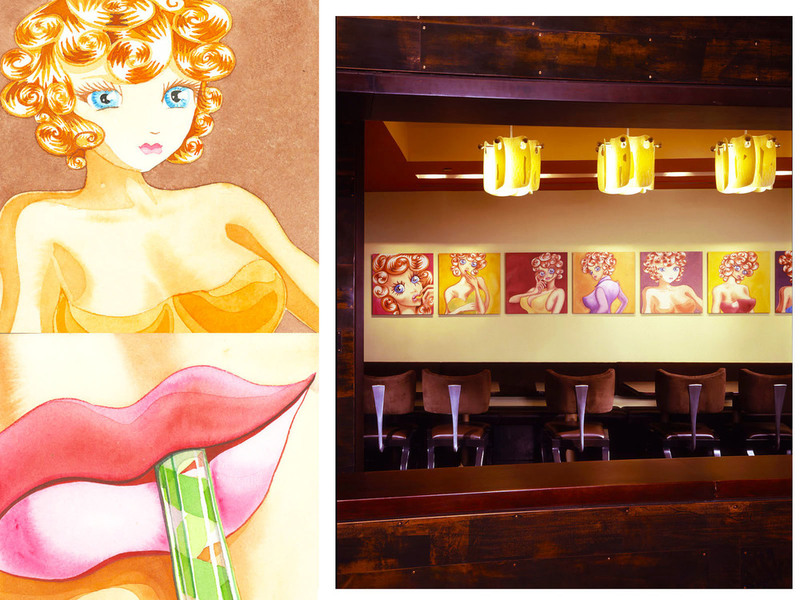 This 140 seat American-Japanese restaurant features teppanyaki grills and a sushi bar. 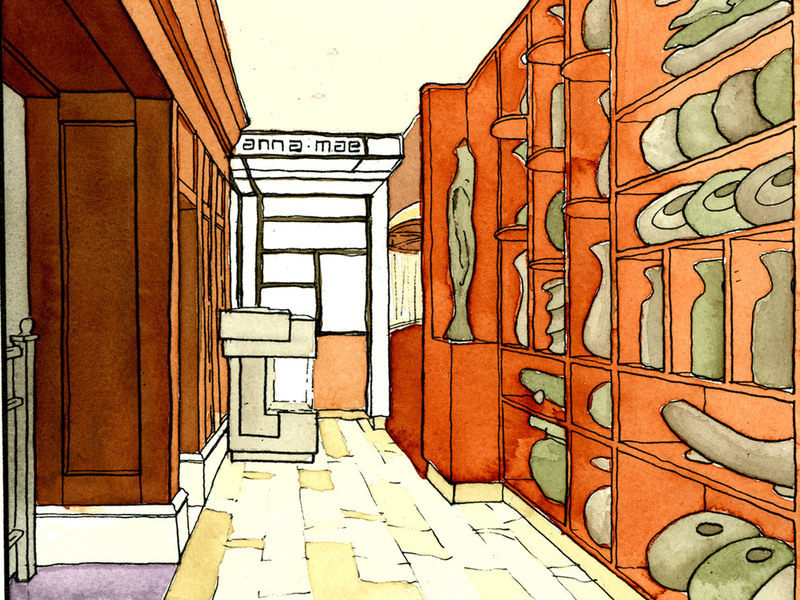 The entry to Anna Mae is through an internally illuminated cubist arch of fused art glass framed in raw steel, up a pathway of limestone and bronze tile to a host podium opposite a collection of Asian ceramics, bells and sculptures. The entry is bright; but the Dining Room is dark and cozy and populated by an array of animated elements rendered by a small army of artisans in natural materials. Down the center of the dining room are pendant lamps, smiling abstractions of traditional Japanese Shinto temple bells, gold inside and highly-polished magnesium-aluminum outside. An oxidized- copper terrace overlooks the sushi bar. 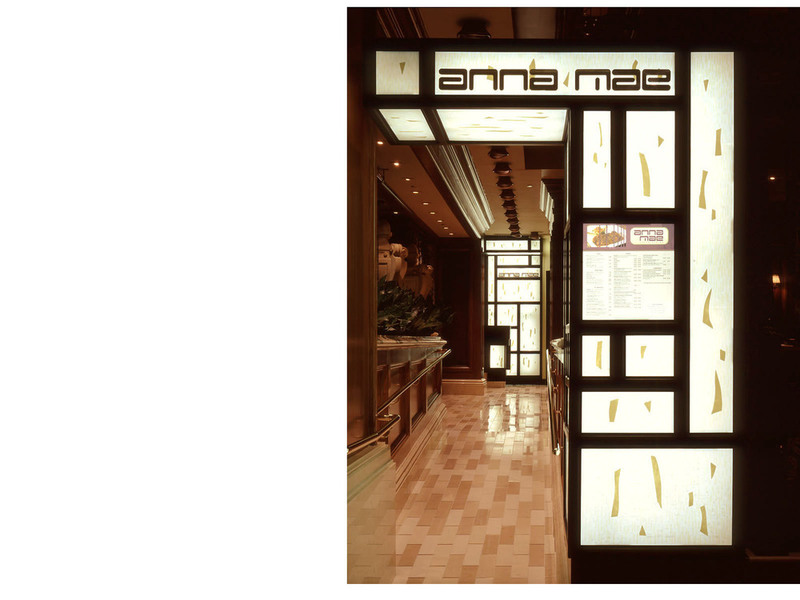 Light fixtures of slumped art-glass drip over seating illuminating portraits of Anna Mae are on the back wall. The floor is bamboo, stained the color of chocolate.The chairs and booths are fabricated in hand carved maple, cast magnesium-aluminum alloy and upholstered seats and backs. 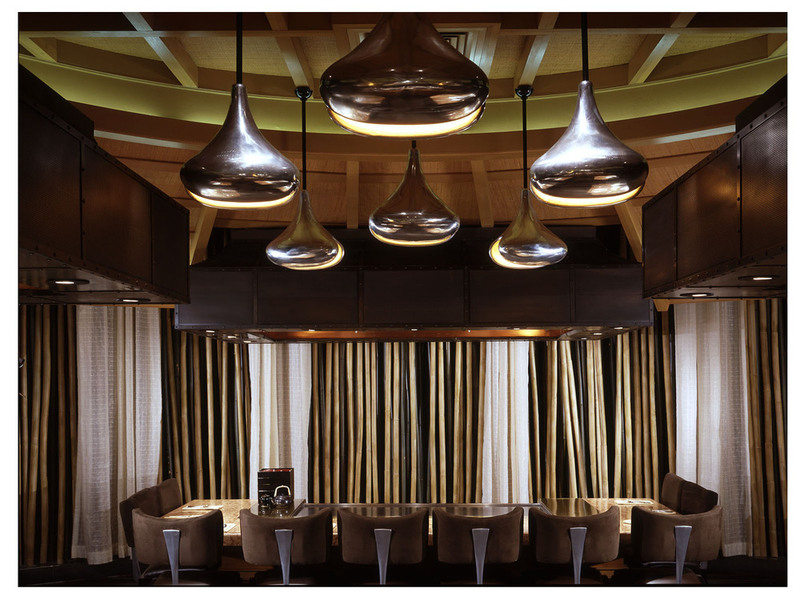 Between cozy booths at the edge of the dining room are twisting bronze sculptures inspired by Japanese willows, illuminated from above by silk interpretations of Chinese paper lanterns; table tops are solid ribbon-striped mahogany. 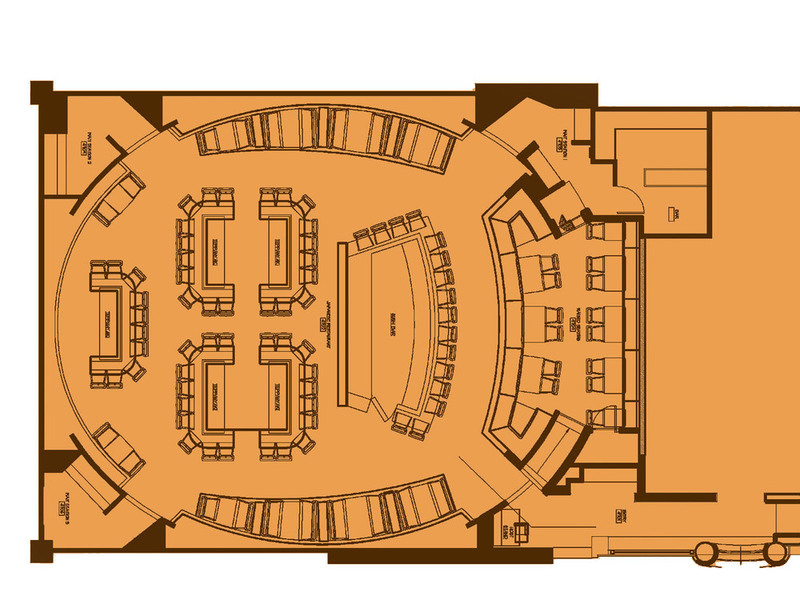 Electrical - RHR Consulting Engineers, Inc.